Are you interested in oak flooring? Oak, specifically red oak, is the most common wood floor used in North America. It is characterized by its resilience, strong grain patterns, honey colors, and affordability. Red oak has a Janka hardness rating of 1290, and this high density means it is highly resistant to dents, dings, scratches, and splitting. Red oak is hard enough to resist the everyday wear and tear of a busy family, and it is an excellent option for living areas, hallways, foyers, and kitchens. In basements, bathrooms, and other high moisture areas, engineered flooring is a better option than solid hardwood. Thelarge pore structure of red oak flooring results in a strong, open grain pattern which can make a statement in any room. The more consistent this grain pattern, the more expensive the floor will be. Red oak is not red as the name suggests, but a pale gold with streaks of rich reds and pale pinks. 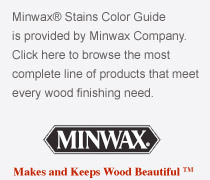 Red oak holds wood stains evenly, and it comes in a wide variety of stain colors from light to dark. The reasonable price tag is another reason our customers love oak flooring.Because red oak trees are abundant, the red oak wood used in flooring is also very affordable. The dedicated crew at A & N Flooring has been servicing clients from across New York for more than three decades. Today, we have hundreds of satisfied customers who testify to our consistently excellent service from all community sectors and all five boroughs. When you use us, we’ll talk you through the many possible types, styles, widths, and colors of wood flooring, and we will help you choose the best combination for your goals and budget. We’ll then focus on your high-quality installation. Please contact us today to book a free consultation for your red oak flooring.